First Annual Membership Get-Together. Guruji in Awakening : The Experience of Cosmic Unity, The Experience of Existence. You can find a copy at the ananda ashram online store. First Annual Membership Get-together. Learning about each other. Name? Where are you from? How long, and what type of member? 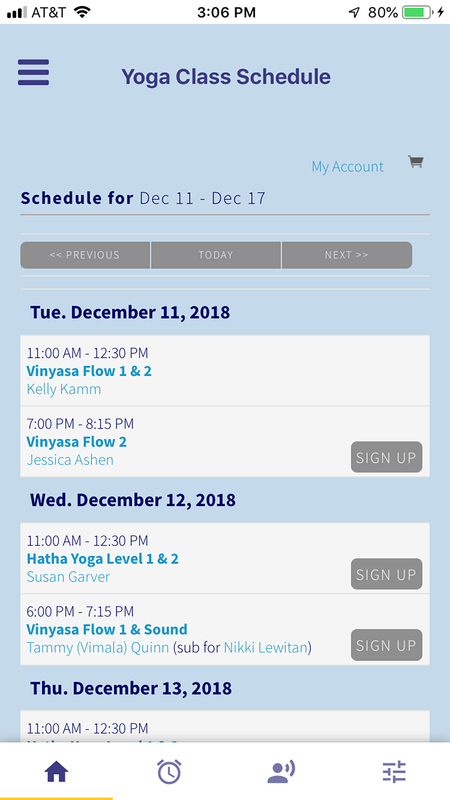 Yoga Society of New York, Inc. Yoga Teacher Training 2017. When membership started the campaign “Take Ananda Home” in 2017 we never thought this is where it would lead, but indeed our members' requests are important to us. We spoke to members about what they wanted from Membership. 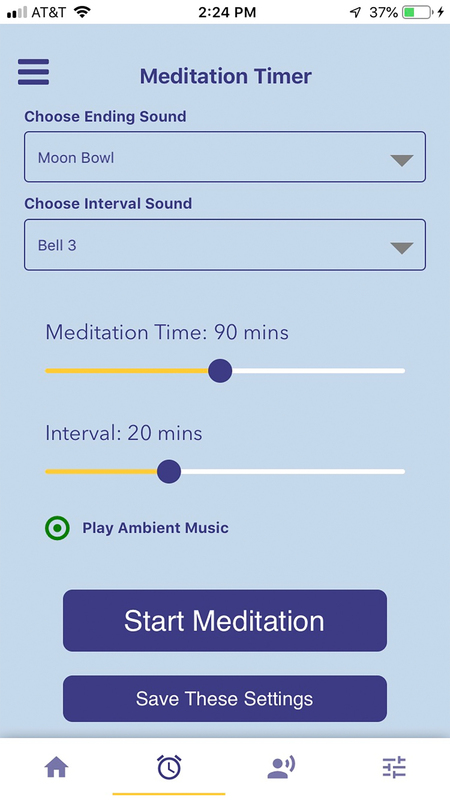 The answers surprised us, they wanted a meditation timer to help them maintain their practice and remind them of the lessons they learned while visiting Ananda Ashram. 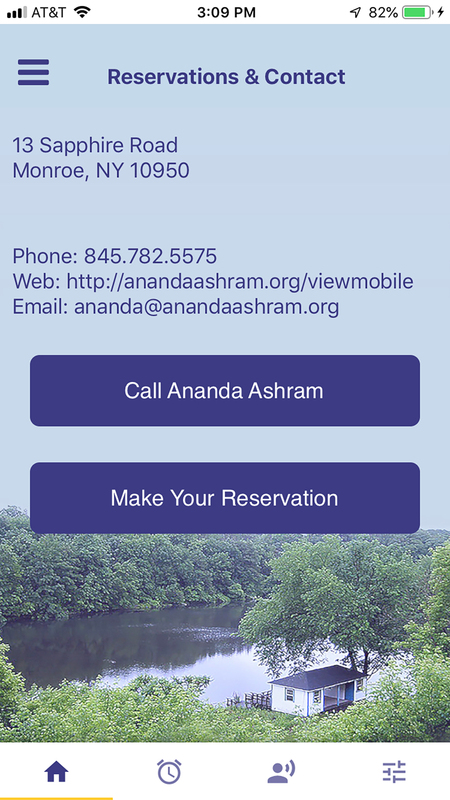 Therefore after many months of planning Ananda Ashram iPhone App became available at the iTunes/Apple Store. Since its release, there have already been six updates. The updates are in response to owners of the new app sending their requests to our in-house developer. That’s right! Tejas Monteverdi has been at the Ashram for five years (April) and is a web developer. He created the app from many requests from those who really wanted to “Take Ananda Home” with them. 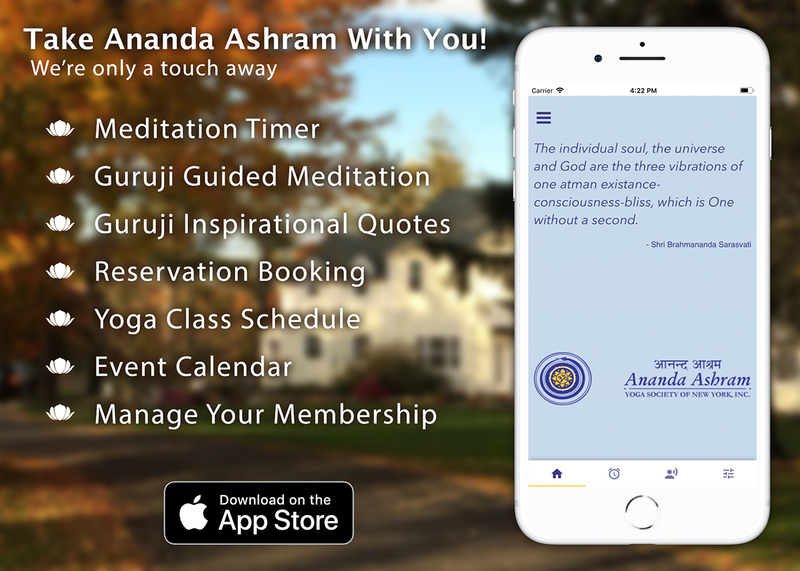 Tejas taught himself how to use the web-based software to create Ananda Ashram’s first ever Meditation Timer. This was his first iPhone App. It began with a simple idea to create a mechanism that would ring a bell at the end of a time period set by the user to alert them their meditation time was over. This simple idea grew and grew. With Sitar Music from Room Verma, a guided meditation by Shri Bramananda Sarasvati (Ramamurti S. Mishra) the app has become a way for our members and guests to have a piece of the Ashram at the tip of their fingertips, with a tagline “We’re just a touch away” illustrates how much our members and guests mean to us. Tejas is also working on an Android version of the app, we'll keep you up to date on the release date. Watch for our Meditation Challenge on Facebook too beginning March 1st. Thank you to Karen (Kay) Moheban for the delicious treats. All proceeds went to the Ananda Kitchen Dessert Fund! Thank you to Dinesha Barber for his contribution to the table from the Ananda Gift Shop. All proceeds went to the Gift Shop. I really enjoyed our time and all of the great guests who asked wonderful questions and came by to see what Ananda Ashram is up to this Year! Spring is here, the birds have returned, but we still have snow on the ground. I received a call in the office last week asking if a person could camp. Yes! Our camping season has begun. However, I told them, we still have snow on the ground. Not much, but it comes and goes. It's best to watch the weather report. I am happy to say she did camp and loved it even with the snow. She was prepared for the weather. That is pretty important around here if you are going to camp. One day this week it was snowing, the next day it was sixty degrees and raining. Sometimes it rains, suns or snows., Be prepared for whatever life brings you. Spring camping at Ananda Ashram offers some very nice perks if you are ready for them. During the summer we have all kinds of flying insects, ticks* and little creatures that love to get inside your tent. But during our springtime wonderland most of the bugs are still hibernating. Many of our campers are fair-weather friends, who love to be in the hot weather and camp when there is no rain or snow. This gives you an excellent opportunity to have a whole section to yourself. If you like privacy there are many spaces available in the woods, if you prefer a platform for your camping needs you'll find several around the grounds. Some even have tarps or a lean-to overhead. Especially at dusk to dawn you'll notice the forest is very quiet, but when the sun begins to rise you'll notice the birds begin to chirp and sing. Stillness is so apparent in those early hours, a great time to meditate in your tent, or even go into the woods and find your own private space to contemplate "I AM". It has been a hard winter for our Deer friends, so we have been putting out scraps of food for them to munch on and enjoy the abundance the Ashram has to offer. This draws the Deer in herds of six to as many as 20 have been seen feasting on our left-overs. They skip, jump and play waiting for their turn to eat. It is a beautiful sight seeing all the Deer friends play. What might you need to know or want to bring to camp in the rain and snow at Ananda Ashram during the cold spring days? As you may know we offer you three meals at Ananda Ashram, eat heartily to keep your nutrition and calories high, you will burn more energy to keep your body warm. You may want to bring nutrition bars or snacks to eat between meals but keep them in airtight containers in the dining hall or small dining hall (Ask staff to show you where.) Do NOT keep food in your tent! Bring a sturdy tent the snow can become heavy and if your tent isn't rated for snow you could find yourself in a very serious situation. Frostbite is a concern when camping in the cold, even if it's above freezing outside, if you get wet and cold you want to find warm shelter right away. We do have several places you can go if this happens. The Blue Sky Center offers a nice sofa and area to read, it's also called the computer room because you can use the wi-fi there without disturbing anyone else. There are warm showers, and bathrooms there too. Make sure your sleeping bag is rated for the cold weather temperatures that are at least 10°F cooler than the actual temperature. You can always vent the bag if you get too warm. If you’re not sure your sleeping bag is warm enough, you can add a sleeping bag liner. These add extra warmth while also minimizing wear and keeping your bag cleaner. The extra layer can add about 5 – 25°F of warmth. A sleeping bag mat or yoga mat can be helpful to get you off the ground. So come spring or fall you will find quiet in the woods here and always have an opportunity to take the time to reflect look deep within and find peace. *Note: We can advise you how to protect yourself from being bitten by ticks. The Shanti Sadanam project is steadily progressing. The footings and foundation walls for the building are finished. Construction of the shell of the building is completed. The roof trusses are now being installed. We presently have over $465,000 in funds committed to the project. We need everyone's financial support to complete the project by next spring. Your generosity will contribute to a building which will benefit the people who visit Ananda Ashram for many years to come. Before the first snow the Foundation was complete and Framing had begun. Just after the first snow we received the trusses. The weather warmed up enough for the snow to melt and the roof trusses began being installed, and the roof was laid. It's now November 2018, and we are almost ready to open the doors to our new Shanti Sadanam. The pictures below show the progress to date. Please make you donations as soon as possible. Contributions can be made at the office, or by phone at 845-782-5575, or online at anandaashram.org donation's page, click on the "Shanti Sadanam Fund". Members who stay at Ananda Ashram have access to the Gift Shop. The Gift Shop offers a variety of Yogic clothing, incense, musical instruments, personal grooming items and of course has a collection of yogic books. But did you know Ananda Ashram also has an Online Bookstore? You can find the site at AshramStore.com, the Online Bookstore of Ananda Ashram. 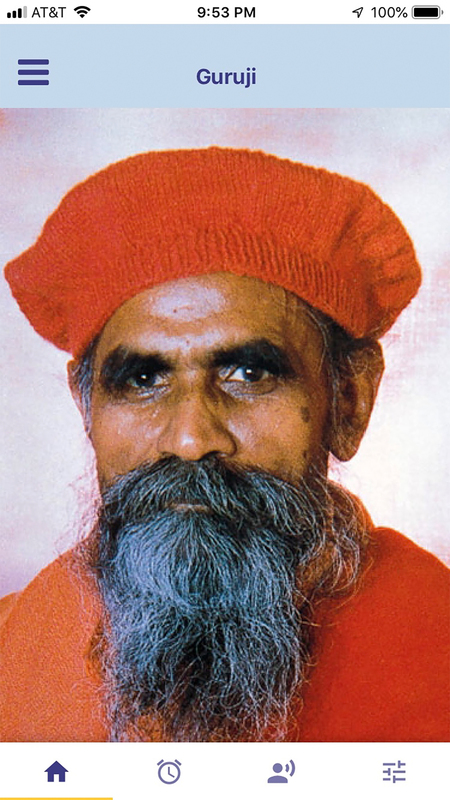 You'll find works by the founder and spiritual director of Ananda Ashram, Shri Brahmananda Sarasvati (Ramamurti S. Mishra), published by the Baba Bhagavandas Publication Trust. We also offer books and audio by other authors and friends of the Ashram. Proceeds from sales support the Yoga Society of New York, Inc.
Below find some of the most popular books, CD's and DVD's in our Online Bookstore. Commonly referred to as the Yoga Sutras manual, this book contains the Yoga Sutras in Sanskrit devanagari script with transliteration, separation of words and translation. It is designed to accompany our Yoga Sutras Audio CDs or Video DVD. A set of two audio CDs with authentic Sanskrit chanting of the Yoga Sutras of Patanjali in the ancient tradition of Guru leading students. Each CD has a concluding meditation guiding us to feel the real sutra, the inner thread of consciousness and life. This DVD captures rare, live footage with authentic Sanskrit chanting of Patanjali's Yoga Sutras by Shri Brahmananda Sarasvati (Shri Ramamurti) in the ancient tradition of Guru leading students. 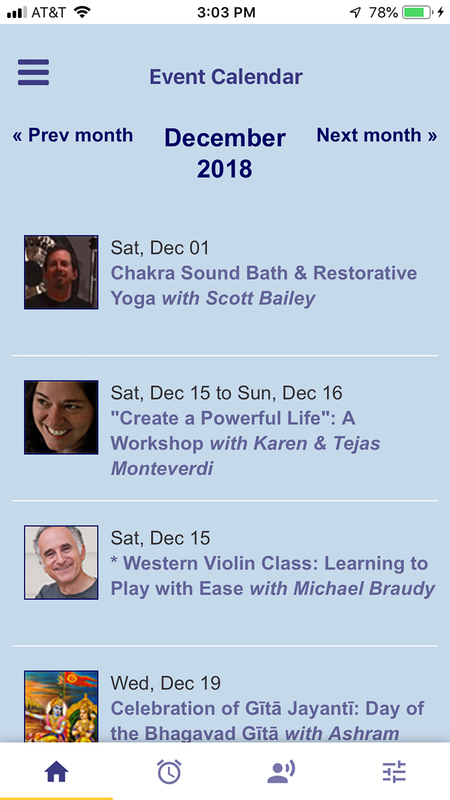 The program includes two guided meditations to feel the real sutra, the inner thread of consciousness and life. Come visit the Ananda Ashram Online Store for More Titles! Did you know that you can now register online for an overnight stay at Ananda Ashram? Simply go to the AnandaAshram.org Website and click the Reserve Now on the top menu. You can choose Overnight Reservation if you wish to stay less than a week. Or you can choose one of our extended stay options up to four weeks. The dates are flexible. Once you click to choose your reservation option, you are taken to the page that describes the process. Make sure you read the terms and conditions because they are updated as our policies change. As a member you receive a 10% discount on your stay. Please call the office to receive your membership discount code. 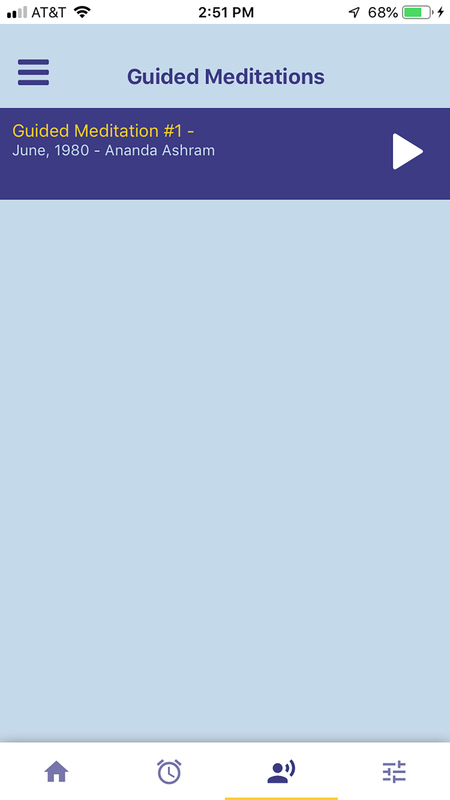 Simply enter the code on the registration form in the "Discount code" dialog box. If you are having trouble finding your discount code, please call the office at 845-782-5575. Thank you for supporting Ananda Ashram, Yoga Society of New York, Inc.
Now it's easier than ever to become a Yoga Society of New York Member. Click the membership home page and scroll under the video to choose your membership level. There are two options, General Membership and Lifetime Membership. Once you choose your option, click the "Next" button. Fill in your email address and the Security Check Code, click the Next button. You will then be taken to the Membership Application page. You will fill in your information. Once you complete your application you will receive an email giving you further instruction on how to pay for your membership. 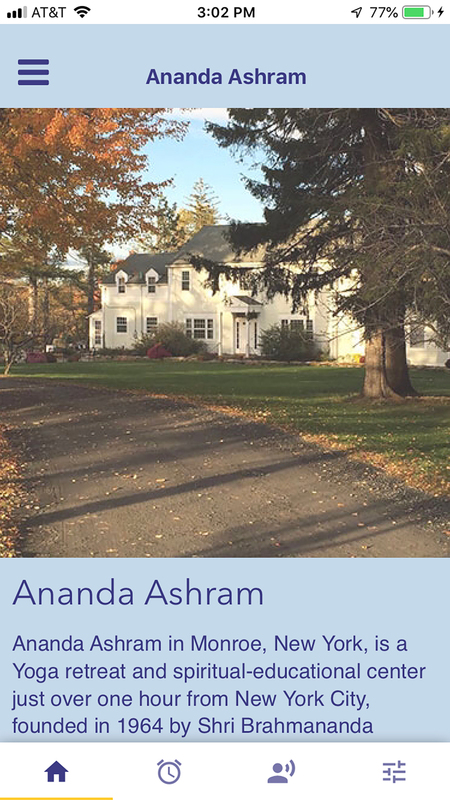 Welcome to the New Ananda Ashram Membership Blog. We will be posting members news and events on this blog. The 2017 Membership Awareness Program was developed to help our members feel connected and to boost a sense of community within the Ashram Family.